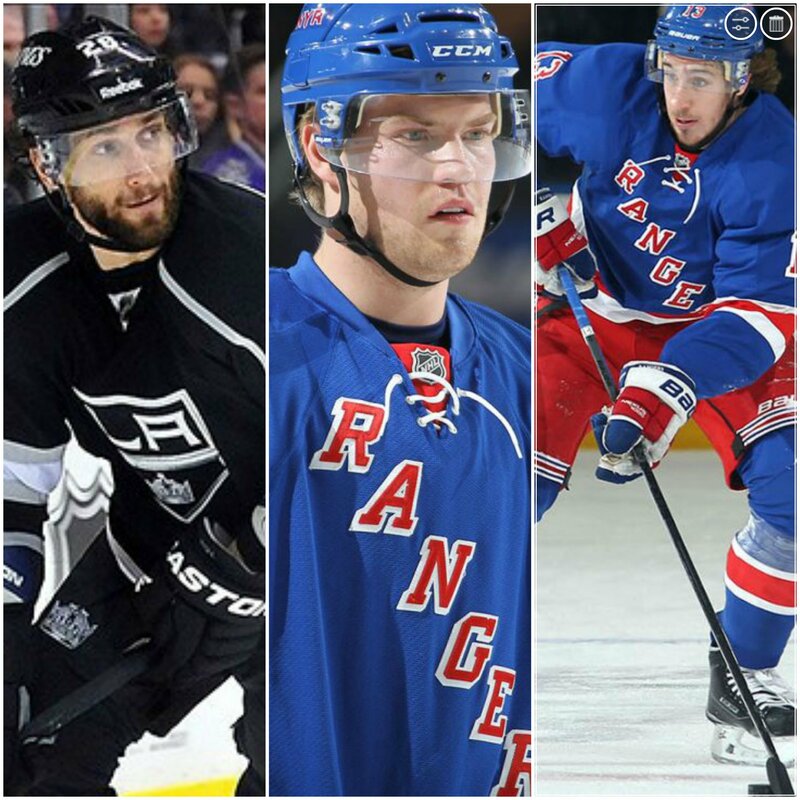 Hayes, Lindberg or Stoll: Who should be the third line center? Following the Jarret Stoll signing, Alain Vigneault now has his choice of three quality centers to anchor the third line. Who should it be? Photo courtesy of Gary Vasquez/US PRESSWIRE and MSG Photos. Following the signing of Jarret Stoll yesterday (1 year, $800k), the Rangers suddenly have a plethora of forwards to fill their four lines, and a few more than capable centers for Vigneault to use. While this certainly a great problem to have, it does mean that the team has a tough decision to make when deciding where to place everyone in the lineup. Last season, Kevin Hayes impressed everyone in his rookie season, moving to center, a position that he had rarely played before, leading the league in primary assists, and finishing with 45 points. 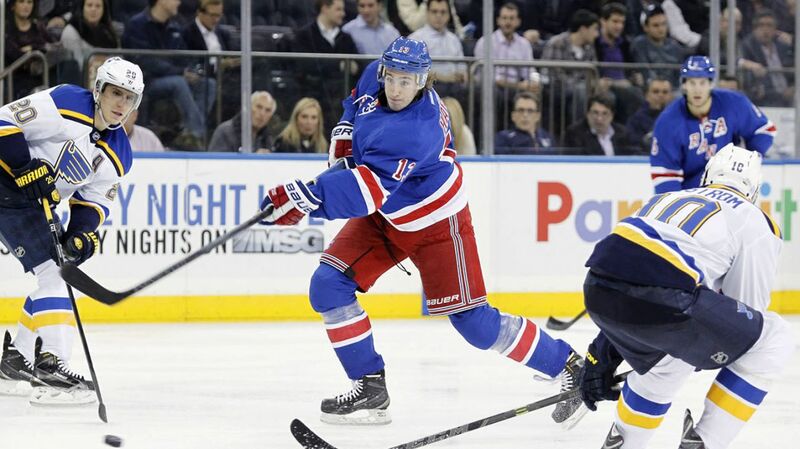 But he’s a winger by trade, and the Rangers may be looking to utilize him on the wing long term. With rookie forward Oscar Lindberg waiting in the wings, after developing in Hartford for the last two seasons, Alain VIgneault has a few options for the third line. But who should he choose to be the third line center? Last year, Hayes was asked to do something that was very demanding; learn a new position while also playing in the NHL for the first time. Many people would have crumbled under the pressure and difficulty, but he actually managed to thrive in his rookie season, finishing with the fifth most points amongst rookies. While his season started slow as he learned the defensive responsibilities that come with being a center, his scoring picked up in the winter. If Hayes were to continue being the third line center, the Rangers would be keeping him at the position that he developed in during his rookie season. While it isn’t his natural position, he did get increasingly more comfortable there as the season progressed. He also seems to enjoy being in the playmaker role, and setting up his teammates for goals (28 assists, 21 primary). That may be best suited down the middle. However, Hayes can still be a playmaker from his natural position, which is right wing. For example, former Ranger Martin St. Louis did exactly that in his career, finishing with over 50 assists on multiple occasions, even reaching 60 assists, despite playing on the wing. Hayes was also awful on faceoffs, winning around 35% of his draws, well below the league average. He was pretty good when it came to takeaways, and his defensive play was pretty good, but not as good as Derek Stepan or Dominic Moore. It seems as if the long term plan for Hayes is to utilize him on the wing. Perhaps he will be able to focus more on his natural scoring ability, and the Rangers could sure use his skills on the second line, where one wing spot remains vacant. I would have penciled in Hayes as the third line center before the Stoll signing. Now, I think that if Hayes moves back to wing, it has to be as a top six forward. While I like his playmaking ability down the middle, I think that can be really utilized alongside Derek Stepan and Chris Kreider, creating a very big, skillful second line. In 2011, the Rangers made a seemingly unimportant trade, sending Ethan Werek to the Phoenix Coyotes for prospect Oscar Lindberg, drafted out of the Swedish junior league. Since then, he’s developed into one of the team’s stronger prospects in the system. This past season with the Wolf Pack, he finished with 56 points, tallying 28 goals and 28 assists, and adding another 16 points (3-13-16) in the playoffs. During the offseason, Gorton re-signed Lindberg for the next two years at a cap hit of $650k, as well as on a one way deal. That means if the Rangers wanted to send him to the AHL, he would have to clear waivers first. So presumably, they are hoping/expecting him to make the team out of training camp. Back in the Swedish junior league, he was winning over 60% of his faceoffs. While faceoff stats aren’t currently kept in the AHL, Lindberg carried that success over into Hartford. He’s very responsibly defensively, and his prowess in the faceoff circle will really help balance out who gets more defensive zone shifts. What’s nice about him is the fact that he’s well rounded, able to score goals, pass well, and play well in his own zone. He’s clearly got a pretty good shot, evident from his 28 goals last season, and the same number of assists means that he’s a decent playmaker as well. On the third line, Vigneault needs someone with a touch of speed, and a player that he can throw out to take important faceoffs in his own zone and match up defensively against other team’s top players. Lindberg can do that effectively, but what’s great is that he can also go the other way and score, which is really beneficial. Combine Lindberg with Stalberg and Etem, you have a strong defensive line with size, speed, and goal scoring ability. Personally, I think Lindberg will make the roster as a spare forward at the start of the year, and eventually win the job as the season progresses. The Rangers were rewarded for using their young forwards last season (Hayes, Miller, Fast), and it’s time to get some more of their prospects in there. Photo courtesy of the Los Angeles Kings. 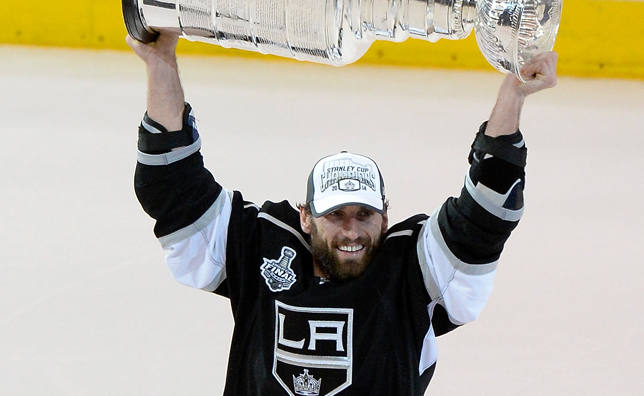 Yesterday, the Rangers made a bit of a surprising move when signing Jarret Stoll, a free agent who was not re-signed by the Kings following a drug possession charge. Jeff Gorton decided to give him a second chance, signing him to a one year, $800k deal. Stoll’s biggest strength is in the faceoff circle, where he is regularly amongst some of the best in the league at winning draws. In his career, he has posted won 55.4% of the faceoffs that he has taken, and posting a faceoff win percentage of 51% or higher in each of his 12 NHL seasons. He is also one of just three players to have a 51% or better faceoff win percentage since 2003-04, along with Joe Thornton and Tyler Seguin. On top of that, he’s a good penalty killer, which would help the team following the departure of Carl Hagelin via trade. While his offensive production has dipped (6-11-17 in 2014-15, 8-19-27 in 2013-14), this can somewhat be attributed to the Kings’ struggles this past season, less ice time from playing on the fourth line, and playing with guys like Dwight King, Jordan Nolan and Kyle Clifford, players who aren’t known for their scoring. If Stoll winds up getting the third line center role, I think you would see his production slightly increase when playing with guys like Emerson Etem and JT Miller. His ability to win faceoffs, forecheck and play defense will help create two checking lines that Vigneault can use to take pressure off of his top two lines, similar to what Lindberg can do. He also brings a veteran leadership presence, and the knowledge of how to win the big games, hoisting Lord Stanley’s Cup twice with the Los Angeles King’s. Having players that know how to win in those big moments are important, and Gorton has brought in guys like Viktor Stalberg and Stoll to fill those rolls. I think that Stoll will wind up winning the job out of training camp, mainly because of his prowess at the faceoff dot, his willingness to forecheck and play physical, and his penalty killing. The difference between him and Lindberg is that Stoll is proven. He’s done this for 12 years in the NHL, and pretty successfully. He has a lot to prove though, and he could quickly lose his job to Lindberg if he isn’t playing well. But perhaps that “chip on his shoulder” will drive him to succeed with his new team. Who do you think should be the second line center? As always, leave comments here, on The Ranger Zone Facebook page, or on Twitter @The_RangerZone. Also, be sure to vote in the poll at the end of the article. 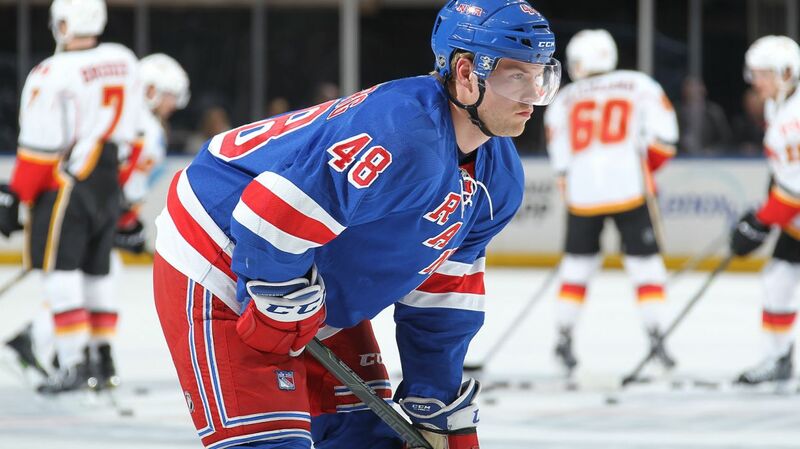 Posted on August 11, 2015, in Uncategorized and tagged Dominic Moore, Jarret Stoll, Kevin Hayes, Los Angeles Kings, New York Rangers, New York Rangers blog, NHL Rumors, NHL Trade Rumors, NHL Trades, NHL updates, NYR, Oscar Lindberg, Rangers, Rangers blog, Rangers faceoff percentage, Stoll arrested, Stoll rangers, Tanner Glass. Bookmark the permalink. Leave a comment.